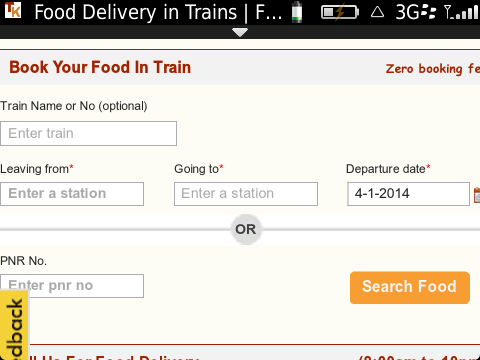 As I browsed the site, I found out it’s me only who has been slightly late in spotting this service. 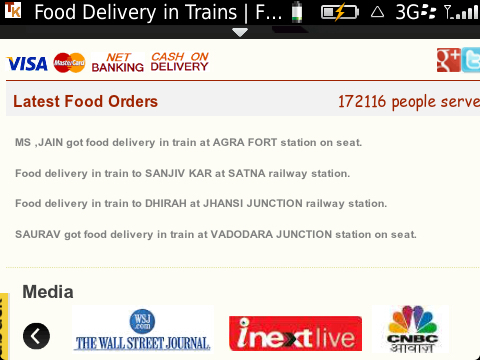 We all know how those catering tenders in Railways are floated and how they are awarded. 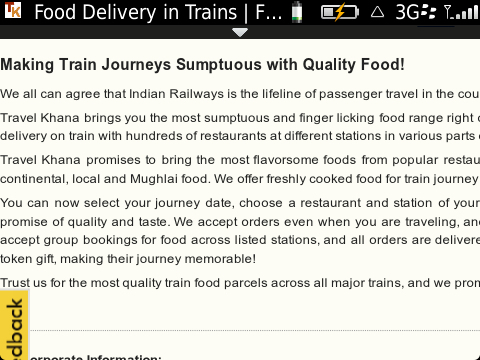 We all know that 105 people out of 100 don’t like the quality served on trains. Someone spotted the opportunity and viola! There are millions who use trains in India daily. The words to focus in the previous sentence are MILLIONS and DAILY. The business model was pretty easy. Take a percentage of that as a business goal for every 5 years and work towards that. I am sure these guys at http://travelkhana.com would have that already figured out. Success or failure are the only two options when you start a business. They have the attention. They have been awarded the Startup of the Year, they have been covered in Wall Street Journal and the ilk. Their website is ridiculously easy to understand and order. 1. Make an absolute mobile friendly site. 2. Cash on Delivery is great but has a problem of leakages. Have your own coupons which people can keep. Something like Sodexho. 3. Apps gonna help you increase penetration. 4. Build and promote the SMS facility. The ocean lies there. The volume lies there. 5. Let’s go back to the sentence of success and failure being mentioned as the only two options. You have multiple kitchens. Ensure the maximum investment happens in keeping the quality uniform. Build a niche, have your positioning (low fat or Indian Thali or whatever) and hammer home the point on uniformity. As for me, whenever I am traveling alone the next time on train, I am gonna try you guys. Once again? This is brilliant! !